Whilst a stay-at-home Mum with two young children, Gail Hounslea decided to set up a business for herself. In 1999 when Google was just starting and, having just learned to use a computer but lacked any online skills, she started an online retail business! Gail went on to build a company that is now the leading supplier of ladders and access equipment online. Gail is Vice Chair of the Ladder Association; the UK body which sets out the framework for working at height and oversees the delivery of industry training in the country. 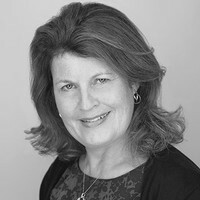 She is an IoD Chartered Director as well as a qualified coach and is also Trustee and Chair of Governors for a School in the region. Gail will share details of her business journey and the pains and gains of growing a business online.